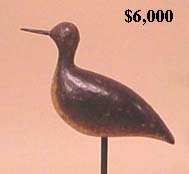 800+ lots. 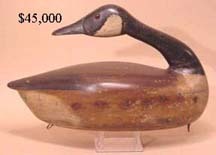 Featuring decoys from the collections of Gordon and Ginny Hayes, William Hickey, and George Combs, Jr. 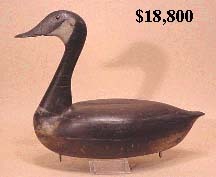 The Guyette & Schmidt, Inc. July 25 & 26, 2002 decoy auction grossed $1,370,000 which was around 23% over estimate. 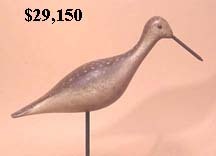 We feel that the main reason the prices were so high is that a huge percentage of the items in the sale were from old collections and were unreserved. 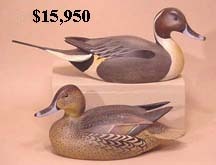 (8 decoys did not meet reserves. 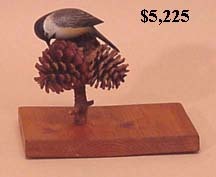 Only 1 on the first day.) 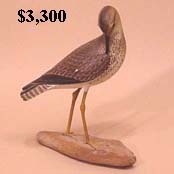 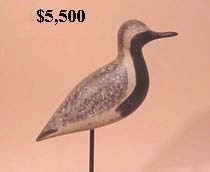 Also the sale offered a large quantity of shorebird decoys, which have become hard to find. 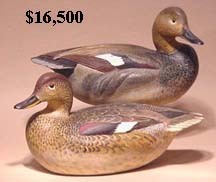 Leroy Howell fish decoys brought high prices.